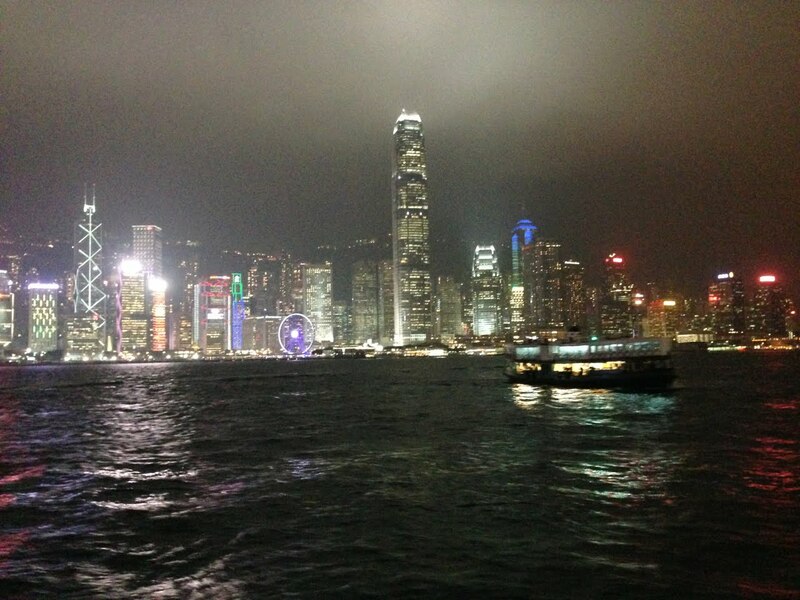 Last night by chance I had two appointments back to back that were situated across the harbour from each other, and the easiest route was by Star Ferry. 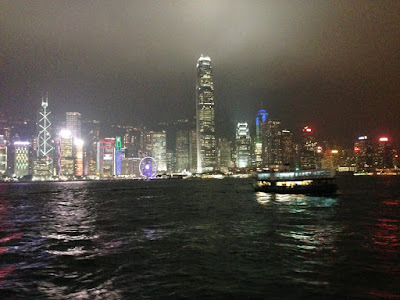 I rushed over from the InterContinental Hong Kong to the Star Ferry pier in Tsim Sha Tsui, and caught the Star Ferry going to Wan Chai with a few minutes to spare. What a pleasant ride over! It was nice to have a few minutes during a quiet ride to collect my thoughts and relax a bit before rushing over to the Grand Hyatt Hong Kong for dinner. However, my pet peeve is that the relatively new Wan Chai pier is quite a walk from the boat to the walkway to Sun Hung Kai Centre and on top of that it's smack dab in the middle of a construction site. Nevertheless by walking fast, I was able to make the dinner on time, and during the meal had a nice view of Tsim Sha Tsui in the distance.